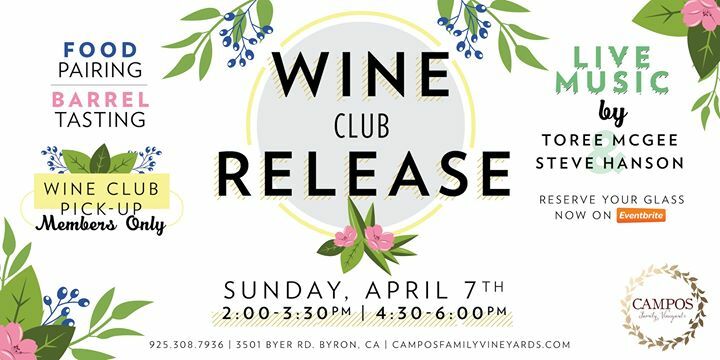 Join us for our Spring Wine Club Release Party! This Release Party will be on Sunday with two windows for pickups! Please register for your desired pickup window. We will have food and wine pairings, barrel tastings and LIVE music by Steve Hanson & Toree McGee!! This party is for Wine Club Members Only. The Tasting Room will be open from 1-5pm for your enjoyment before or after your pickup window.